China’s working age as a percentage of total population will decrease to 60% by 2035; in 1979, there were 7 working people for every retiree, today there are only 2 working people for every retiree. From 2004 to 2014, the Chinese economy expanded 162%, 136% of which is due to construction; there is already enough housing to satisfy urbanization for the next 20 years; China has wasted their economy by building highways and bridges that go to nowhere, “unutilized” airports, and wholly abandoned new cities. China only has good relations with two nations: Pakistan and North Korea Relations with Russia are merely opportunistic considering the recent sanctions on Russia. In fact, China is “cozying” up to South Korea more than North Korea, and Beijing cannot depend upon Pakistan too closely. China is not a superpower; this term is used too casually; a superpower is a nation that: #1, has the capability to wreak vast nuclear destruction anywhere on the globe anytime (only the US & Russia can); #2, has the capacity to decisively project conventional military power anywhere in the world and intervene; China has neither of these capabilities. China is 20 years behind the US in high technology and weaponry, China’s submarines are as noisy as a 1980s Soviet era submarine; China is incapable of an amphibious assault on Taiwan; China has tried for 35 years to develop its own military jet engine and have been unsuccessful. China is a continental power, not a “natural” maritime power (this is historically true as well), Other continental countries that were aspiring to be maritime powers include Germany, France, and the Soviet Union but have all failed; can China make this transition? I truly appreciate what is coming out of Australia concerning China, and it is apparent that the country is paying close attention to what Beijing is doing. The US needs to strengthen cooperation with Australia by listening to their concerns and discussing. 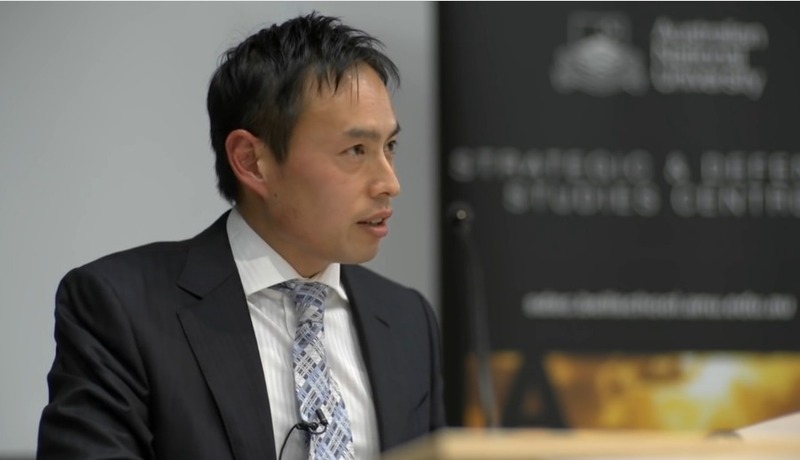 China is presenting a geopolitical challenge to Australia, and therefore, I believe this nation feels the pressure and the need for the US to prove its stance on the China issue. Furthermore, I agree largely with these individuals that China’s power is significantly overestimated. 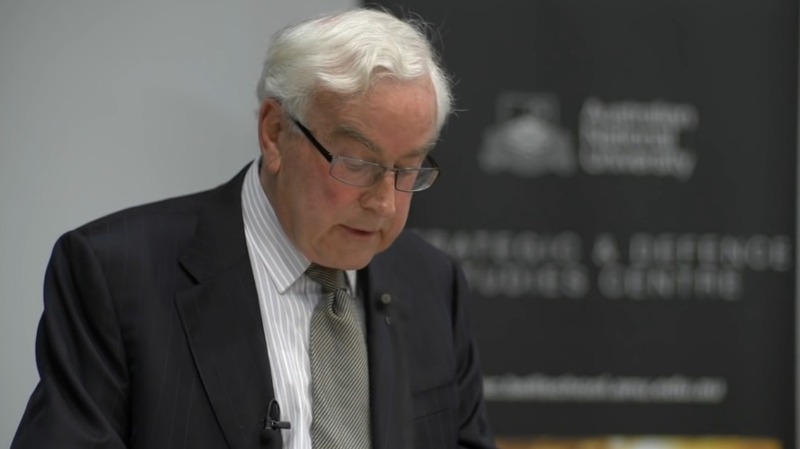 Beijing has so many domestic problems, there is no way that this century will be looked at as the “Century of China.” The scholarly work done by these two individuals does-away with much of the so-called “China experts’” claims that China will conquer the universe. 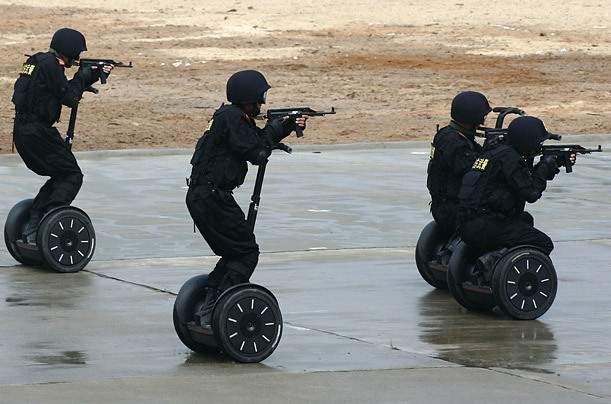 Just look at the image above (Chinese anti-terror units mobilized on segways); as Mr. Dibb puts it, China’s training is oftentimes impractical. This is a perfect example of how the PLA is facing many challenges. Check out the video, tell me what you think. Do you agree or not? China’s household saving rate is staggeringly high (almost 40% of disposable income). India and China will surpass the US during the 21st century because of demographics. I predict that Western powers will try to do anything (including wars) to prevent their development and keep them poor because it’s a intraspecific competition for limited resources. I presume you mean because of such a high population? India’s population is predicted to be 1.55 billion in 2100, China’s just below 1 billion, and the US’s will be nearing half a billion. (http://yaleglobal.yale.edu/content/us-could-be-worlds-most-populous-country) In other words, can America sustain its high productivity from high-technology to sustain a steadily growing economy that at least matches China’s? I think so. If you see for yourself the inefficiency in China’s economy, you would understand. Real example: a university employing 5 elderly men and women to pick weeds out of a field with bare hands and to mow it using weed-eaters, taking an entire day to complete the task. In the US, that would be a one-man job with a lawnmower and would take less than half a day. This is the sort of forced-inefficiency in China’s economy everywhere (I say forced because the university in this case has no choice. It’s policy to hire so many, otherwise unemployment would skyrocket). Even if China chooses a higher-efficient method for driving its economy, social instability would come back to hinder its economy (unemployment, in this example).